This petition has been created by LakouNY A. and may not represent the views of the Avaaz community. The Government of the Dominican Republic and Dominican Society. More than a million Haitians and Dominicans of Haitian descent live in the Dominican Republic. Haitians are black while Dominicans regardless of their actual skin color consider themselves to be white or Indios. For generations the history of these 2 peoples who share the same island has been marred by racism and violence. This violence culminated in the 1937 massacre of an estimated 30,000-40,000 Haitians living in the Dominican Republic at the behest of Dominican dictator Rafael Leonidas Trujillo. 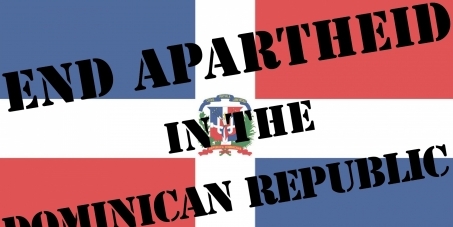 Today, in 2013, Haitians and Dominicans of Haitian descent are still living in perpetual fear of their lives in the Dominican Republic and daily face arbitrary and ruthless deportation. Haitian immigrants practically have no rights and a recent ruling of the Dominican Constitutional Court (168/13) renders stateless 4 generations of Dominicans of Haitian descent that the country's own laws had recognized as Dominicans for over 80 years. With this ruling, they are to be immediately denied or stripped of their birth certificates, identity and voting cards, and passports.